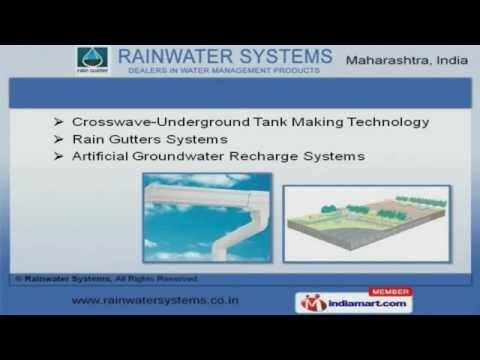 Welcome to Rainwater Systems, Trader and Service Provider of Rain Water Products. The company was incorporated in 2011 at Mumbai. Cutting edge technology and State of the art manufacturing unit make us unique in the industry. Hassle free operation and vast industry experience help us to grab clientele like BPCL, IOCL, MHADA and many more. Recharge Pits, Rainy V Wire Screens and Rain Water Harvesting Filters are some of our products and services. We also provide Cross wave Underground Tank Making Technology, Rain Gutters and Artificial Ground water Recharge Systems. Our Technical Services Groups and Ground Water Survey are a class apart. We are a leading firm engaged in offering Annual Maintenance and Rain Water Harvesting Consultancy Services that are extremely reliable. We are known in the industry as the manufacturer of Filter, First Flush Devices, Rainwater Collection and Storage Systems. Along with that we offer Filters and Rain Water Harvesting Services at industry leading prices.